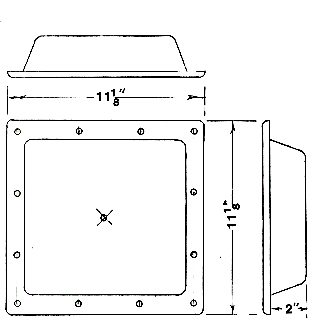 El Dorado Fiberglass Filler Neck Surround 11 1/8x11 1/8x2. Smooth finish. 12 screw dents. Fiberglass; Available in Polar white, can be painted black or colonial white for an additional charge.